It’s no secret that cleaning can be a chore, and even the most thorough housekeeper can miss things when it comes to housework — especially if you’re in a rush or cleaning for last-minute guests. 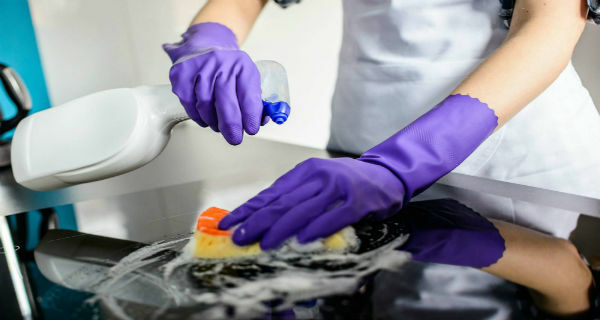 Whether you do it yourself or hire cleaning services, here are 10 places that are frequently missed while cleaning house. Sure, we love tucking dust and dirt under the rug, but do you actually clean under there? Rugs pick up everything from pet urine to toenails so you may want to consider hiring a carpet cleaner once a year. Items you touch every day should be treated like any other high-traffic area of your home. Keep germs at bay by cleaning light switches, door knobs and doors. If there’s one spot that can be a breeding ground for germs, it’s the toothbrush holder. When you’re cleaning the bathroom, rinse out and wipe down the toothbrush holders and soap dish. In 2006, researchers found our most-used purses are probably the reason we’re getting sick. Our bags were more likely to collect germs on the outside and on the bottom. Yes, the trash can is meant for trash, but it’s the excess germs on the sides you should be taking care of. For garbage cans you leave outside, washing them down once in a while with a hose is probably for the best — especially when insects can breed and these germs can spread into your home. Most of us probably know a pen biter. Pens that are left on tables, inside purses and desks are often covered with germs.